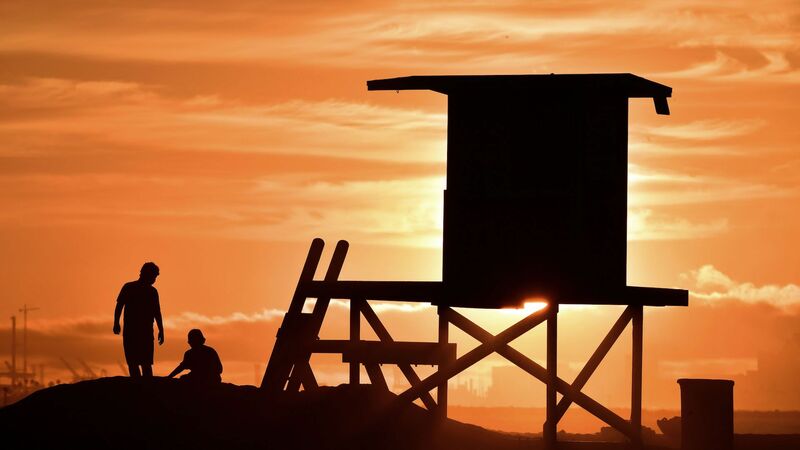 July marked California's hottest month on record, with an average temperature of 5°F above the 20th Century average, according to data released Wednesday by the National Oceanic and Atmospheric Administration. Why it matters: The heat helped dry out vegetation, creating ideal conditions for large, rapidly-spreading wildfires. The largest wildfire on record in California, known as the Mendocino Complex Fire, eclipsed 300,000 acres for the first time in state history. The details: The state's average monthly temperature of 79.7°F beat the previous record-holder for the state's warmest month by just 0.2°F, which occurred in July 1931. At 108.1°F, Death Valley, California, had the hottest average monthly temperature for any recording station in the world. The region where both the Mendocino Complex Fire and the deadly Carr Fire have burned also had its warmest month since reliable instrument records began in 1895. For example, Redding, California, which was the site of an anomalous, destructive fire tornado had its warmest July on record as well, with an average temperature of 99.6°F. A heat wave in early-to-mid July saw numerous all-time heat records fall, including in Los Angeles, where the temperature soared to 111°F. In fact, according to NOAA, the U.S. had its warmest May through July period on record, beating the Dust Bowl record from 1934. Numerous states had a top-10 warmest July, but none set a record as California did. Studies have shown that climate change increases the odds of heat extremes, and is likely exacerbating the severity and duration of wildfire season across the West.